A while back, I wrote about nostalgia vs. a wont for good product. In further discussion, I note that one of the problems is that most of the viable ideas have already come to market in one form or another. The classic emergency room, or hospital, drama is a staple on American TV - as an example - going all the way back to at least the Golden Age of Television. Basically, you can have a cast of any type of characters doing anything but, as long as it is set in a hospital, it falls into this category. NBC has been doing legal procedures under the Law & Order banner for 20 years now, and CBS has done the same with their CSI franchise. Neither is wholly original (even 20 years ago), as procedurals about cops and attorneys have proliferated the television landscape for decades. Producers, financiers, and marketers are likely to be more congenial toward remakes specifically due to the fact that they are easier to sell - they're more marketable than an "original take" on the hospital drama, legal procedural, or cop show. It's doubtful your concept is all that original, anyway - you compare it to two similar films when writing your pitch - so attaching your work to an existing IP is not that big of a stretch. Writers are then constrained by the previous incarnation of an established property, at least usually - "reimagining," "revitalization," and similar terms generally mean original content attached to an existing property. While this works for some properties, it is not a safe bet for "cult favorite" IP. No one is likely to be too upset about an all new cast of characters on a revival of ER, but cult TV shows are another matter entirely - especially if they're based on established property from another medium (such as Game of Thrones). If your story is about a disabled, elderly, black male fighting vampires throughout the Civil Rights Era, and you call it Buffy the Vampire Slayer, fans and audiences are likely to be outraged. If exploiting that outrage is your marketing campaign, you might want to reconsider everything about your proposal. 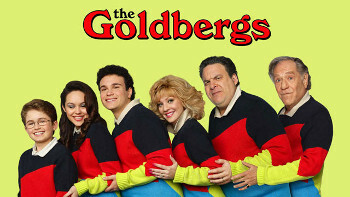 The Goldbergs is a great example of a successfully revived series which stayed true to the source material. Older, and unsuccessful, properties are usually easier to secure the rights to, and offer a wider range of options for creators. Few people will remember the original series, so there's less chance anyone will be upset over a new take or direction - you have more creative control. But again, if you plan on diverging wildly from the original concept, you might want to reconsider - specifically if the property is a cult classic, or otherwise held in high regard. Known properties tend to be easier to sell because they are easier to market, but securing the rights may be problematic - especially for established and well-loved properties, as well as those controlled by studios. This is why there are so many remakes and reboots of existing properties.